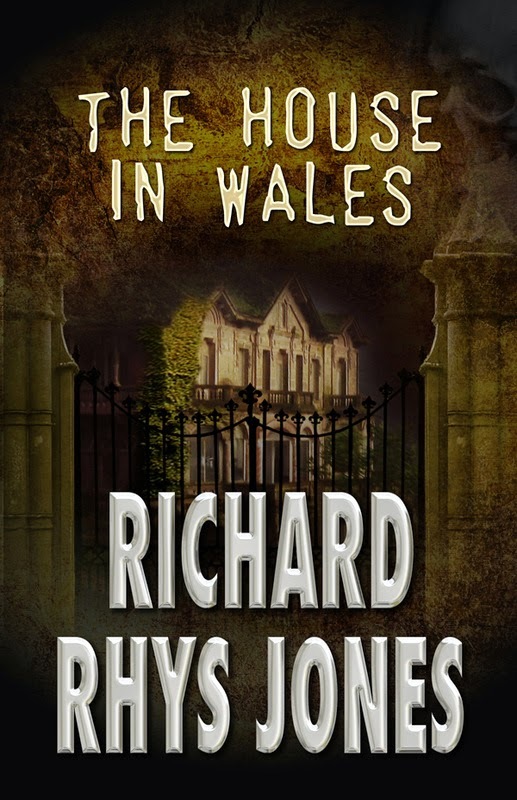 The Literary Trials of Richard Rhys Jones. Books !! Paper ones !! 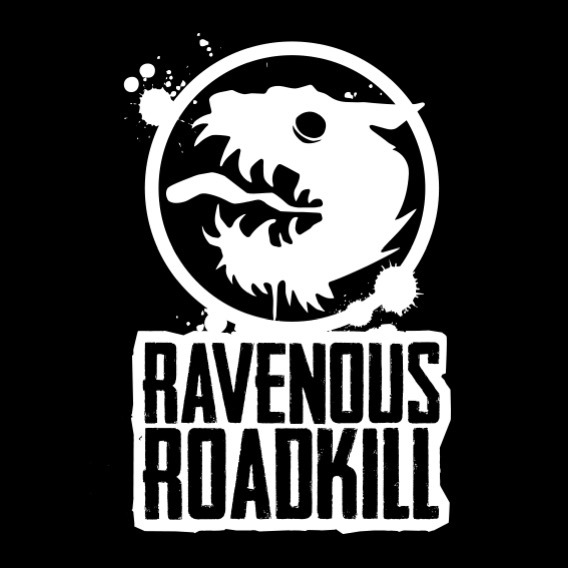 Suddenly Ravenous Roadkill find themselves with an embarrassment of riches in the paperback stakes!! Basically, Wild Wolf have let us put the Kindle books they have on their books into paperback, which is totally righteous in my humble opinion. As of this moment in time, "Wild Wild Dead", "London Warriors" and, "The House in Wales" can now also be treasured and enjoyed in paperback; how cool is that? We're looking at releasing Paul's "Sharc" series and "The Division of the Damned" as well, but those will have to wait. Also, many MANY thanks to the cool peeps at Wild Wolf, publishers of fine literature and all round good guys. They have only ever supported Paul and myself, there's never any stress and I really hope to go drink beer with the makers and shakers of the crew one day, (my highest compliment). One month on and all is well! Nigh on a month since my last post and all is well. The Left Eye is out and the support it's had has been phenomenal. My friends have shared the link, written reviews, bought it and basically given me a warm, fuzzy feeling in my belly with their kindness. There was a time when I dreamed of earning a living wage with writing, but these days of Kindle and self publishing have all but killed off that idea. The market is saturated to the point of bursting, with over 4.6 million ebooks in the US alone. To make a living with writing, a sustainable living, is open only to the few select, lucky writers who have the right connections or have somehow struck gold. I am most definitely not one of them. Well, because of days like this, when you see your work, the fruits of your cerebral labour, being feted and supported by your friends and family. Messages of congratulation, endorsement, admiration even, (plus the few lines of derogatory banter) make everyone smile, and I'm no different. Writing is a nice hobby that has the added bonus of making me feel good about myself. I don't crave applause, but I defy anyone to say they don't like it. So there we have it, the story is out with a great cover and is riding a wave of encouragement of tsunamic levels. So I'm enjoying the moment and living a small portion of the life I once dreamed of. It'll all be forgotten by next week, but for now the feeling is nice. A while ago I wrote a short story for an American/Welsh anthology called "Eto". Americymru is a website/community that strives to build links between Wales and America. They're a happy bunch who teach Welsh online, cover Eisteddfods and run writing competitions. There was no money involved, they'd publicized my work for nothing over a period of months and when they asked if I had a story over for their collection, I gladly scribbled one down. The story, about a young lad in post war North Wales who is cursed by a gypsy, was well recieved and though they hardly sold anything, I was glad to have helped. Two years down the line and I have the rights again, to do with the story as I please. 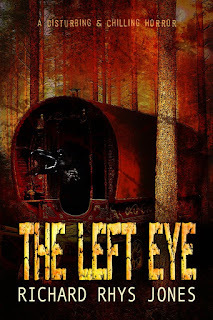 So when 13th Sign mentioned they were doing a quarterly magazine and asked for stories or articles, I offered up "The Left Eye". 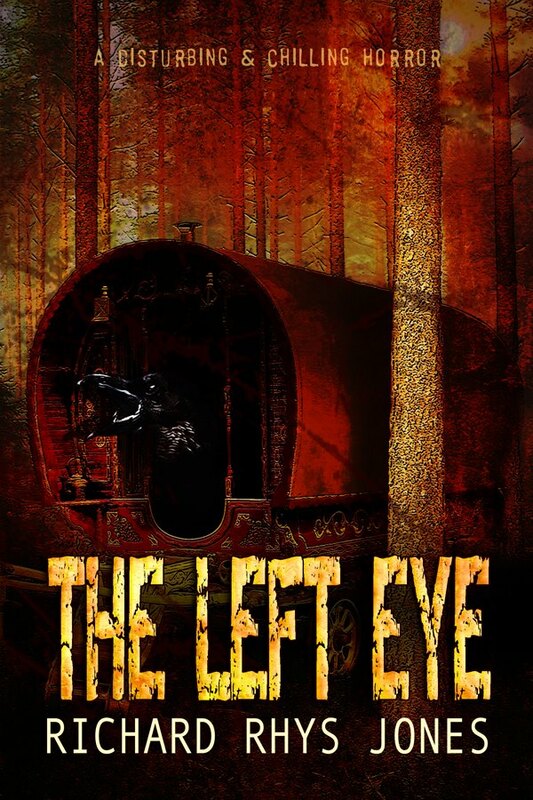 To cut a long story short it was deemed too good to be just given away, which is nice, so we've decided to release it on KDP, (it's only 10,000 words so Ravenous Roadkill will probably release it for a laughable 99 pence... like all our Kindle releases) AND in the 13th Sign magazine, for nothing. Poppet from 13th Sign made a great cover, and Paul, Poppet and Elaina cast their beady eyes over it for mistakes, of which there were probably plenty. I'll do a cover release nearer the time of publication. On another note, I've been writing again, and not just poems and short pieces either. To be honest, after my promotion at work things suddenly became a lot more serious in regards to my work/play ratio, which was never good in the first place. Now I can't just go to work with my finger up my bum and ponder storylines, character development or do online research, I actually have to think!! Anyway, that took the edge off of my "mojo", (whatever that actually is? ), and I've been stuttering and spluttering ever since. However, all is not lost and I'm back on track, sort of. 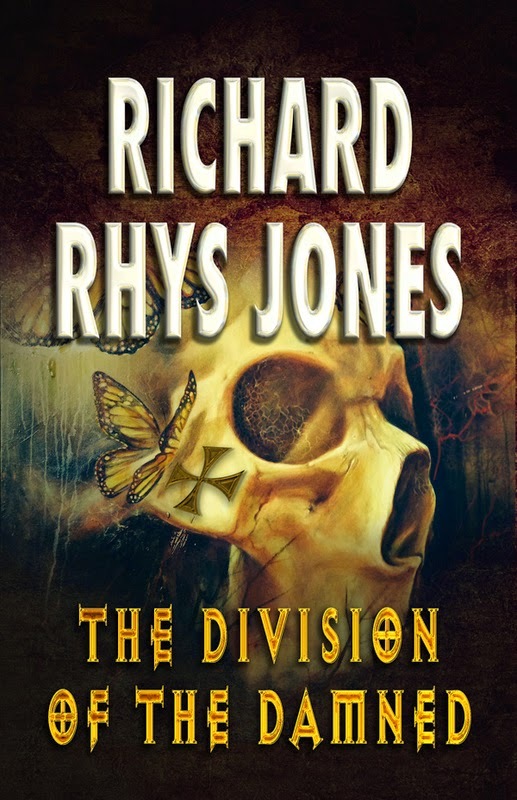 "The Division of the Damned part Two: Gulag" is in the process of being conjured up! Anyway, that's the news for now. At last I have something to report in my blog!! I used to belong to a vibrant and happy stable of authors who wrote and published for Thorstruck Books, (or Publications? I can't remember). Anyway, we had a tremendous esprit de corps amongst our ranks; with every one of us rooting for the other, helping with edits, promotion and opinions, and all the goodness that comes out of a collective with a dream. Alas, when Thorstruck closed its doors, the dream withered as we went our separate ways. 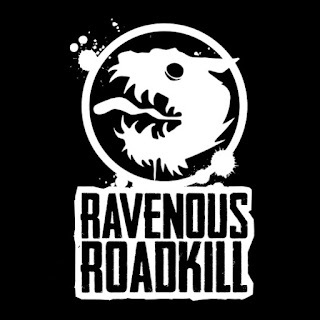 Two of my books went to Wild Wolf, who also have a great sense of community and mutual support, and Paul and myself released two books on Ravenous Roadkill. However, I won't lie, I missed the constant chit chat we had on our Thorstruck page. Wild Wolf is far larger than Thorstruck, and we weren't, "discovered" by the guys making the decisions, so there was no major support. That's not dissing WW, not by any means! It's just Division and House had run their course and nobody throws money or effort at dead fish. Paul and myself, (Ravenous Roadkill) are defo on the same wavelength in all manner of things, but he's as busy as I am so our communication, besides the online Facebook banter wasn't anywhere near like Thorstruck. ANYWAY... Poppet, one of the movers in Thorstruck, decided to start an ezine with a couple of friends, and long story cut short, she invited us ex-Thorstruckers to participate. "book reviews and releases, author interviews, gardening articles, natural health articles (with journal references), and earth and animal friendly products"? Who cares, whatever they want I'll deliver, because I'm back with the guys and it's going to ROCK !!! I'm stoked, does it show? Honestly, time slips by so quickly nowadays, I can't believe I haven't written anything since LAST YEAR!!! Whatever, nothing has really happened since then anyway. 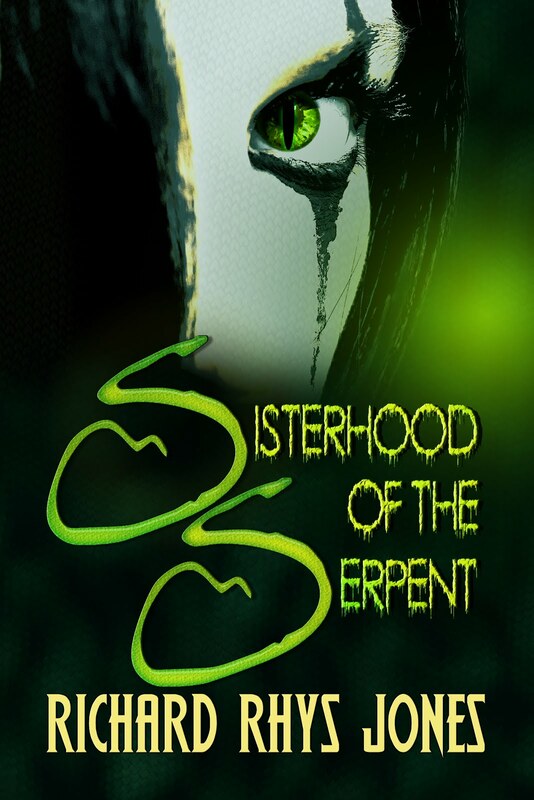 A couple of reviews for Sisterhood, one for House, an interview with Tee, (link to follow), and sales so spare you'd think I've been blacklisted or something. Anyway, Division of the Damned part two is stuttering and wheezing like a bronchitis-lamed chain smoker as I simply don't seem to find the time and energy to, "get stuck in". The story is there, everything is set, and yet my Mojo, (whatever that may be?) simply isn't playing ball. It's on the agenda, and I know when I'm in the Zone it'll just fall out of my fingers. However, the road to this legendary "Zone" is taking its time being found. So, no news except for a couple of good reviews, and an interview. Here's the link for my chat with Tee, and I'll bid you all a fond, fondue. Have a great weekend, as you were.